Willow Packer has one clear goal: to make her business thrive. Determined to collect what is owed her, she confronts the hotel owner, only to end up rescuing another lady from being thrown out on the street. Willow takes Abigail under her wing and is thrilled when she agrees to sew for her… at least until Abigail's brother, a hotel tycoon from the East shows up, demanding his sister's return. In Manhattan, Rhys Winthrop is known as a ruthless businessman, one never to be crossed. When his sister runs from home, he's forced to travel across the county to fetch her. 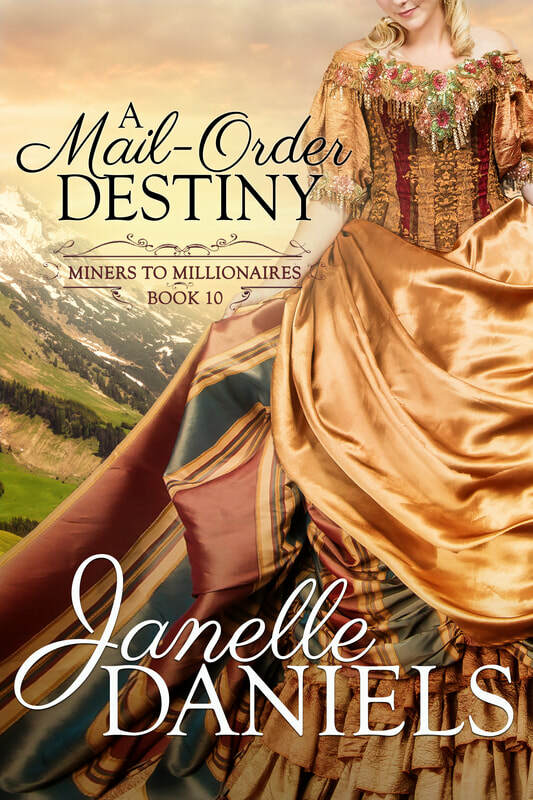 Assuming his sister will comply with his demands, he's sent reeling when a gorgeous, stubborn woman, who's set herself up as Abigail's protector, slams a door in his face. Rhys is forced to stay in town until he convinces his sister to return home, but unexpectedly, he's drawn to the town's quirky hotel. Rhys purchases the property on impulse and unwittingly sparks a mad search for a legendary treasure. Now, Willow and Rhys must work together as the search turns deadly. But will the treasure they discover be made of gold… or of the heart?